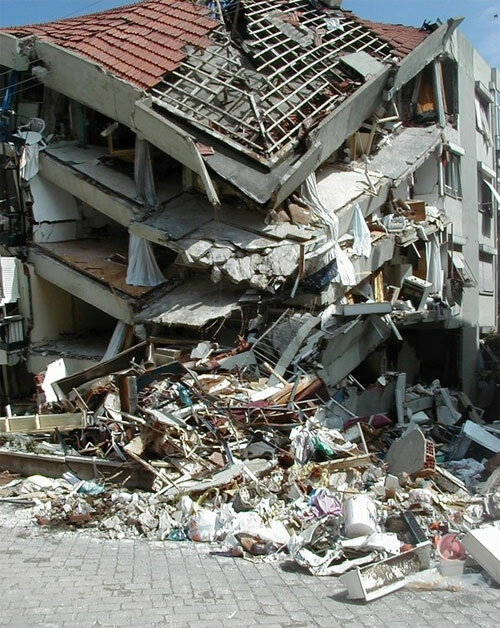 Home » Research » Are yesterday's earthquakes tomorrow's disasters? The UK is likely to experience one magnitude 5 earthquake every 20 years. Smaller earthquakes are more frequent. Earthquakes in historical times that shook empty hillsides have the potential to repeat in the future as humanitarian disasters, where cities have grown up unaware of the hazard. Unearthing the records of past earthquakes through historical and geological research allows us to better understand the risk to today's cities. 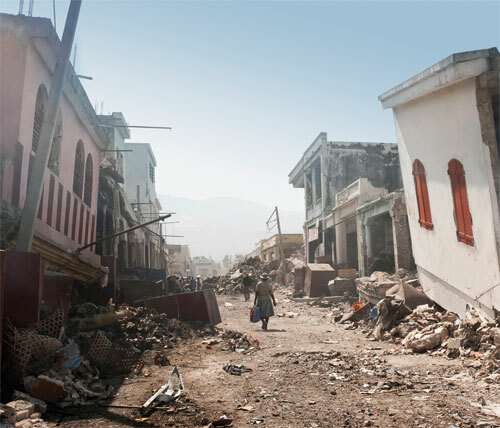 The catastrophic earthquake that struck Haiti in January 2010 was at least the third deadliest earthquake in human history, and was widely described at the time as the 'perfect storm' earthquake. Every possible bad factor was there. The earthquake was large, it was shallow, it was close to a major city, and that city was badly built, full of weak structures that collapsed at once, burying and killing the inhabitants. But there was one further factor: it seems that no-one in Haiti even knew that there was an earthquake problem. Despite the fact that Port-au-Prince is next to a major plate boundary fault, because that fault had not moved in centuries, knowledge of the last destructive earthquake was confined to dusty archives. In countries that experience earthquakes regularly, people at least know that they should be prepared. But where the last earthquake is beyond living memory, whole populations may be unaware of the threat that stalks them. The first step in dealing with a problem is understanding it. In the case of earthquakes, that means knowing where earthquakes have happened in the past, and which will inevitably repeat themselves at some point in the future. In addition, by understanding the geological structures that cause those earthquakes, one can extrapolate along the lines of major faults, and identify other places where similar earthquakes could strike. This year a new online resource for the study of historical earthquakes was completed by a team of seismologists and historians led by National Institute of Geophysics and Volcanology (INGV) in Milan and including BGS in the UK. The Archive of Historical Earthquake Data (AHEAD) contains data on all the most significant damaging historical earthquakes in Europe, accessible via an easy web interface. This provides valuable data for planners, insurers, scientists and anyone with an interest in past earthquakes. The next stage will be to expand this to global coverage, in the frame of the Global Earthquake Model (GEM) project. These new databases will provide an instantly accessible guide to danger spots for major earthquakes. Historical research of where earthquakes have happened in the past are extremely valuable in developing a better understanding of where such events are likely to repeat themselves in the future. Historians can help save lives! It is easy to think of history as purely an ivory-tower, academic research area; interesting, but not relevant. This is not the case at all, and in recent years, professional historians have been called on to work alongside seismologists in uncovering the record of past earthquakes; work that helps us to quantify the risk from future earthquakes. See also UK Historical Earthquake Database. It is generally believed, and confirmed by all available data, that the rate at which earthquakes occur over the long term is constant. Indeed, it would be amazing if this was not so, since the ultimate source of the energy released in earthquakes, heat generated deep within the earth's mantle, is hardly likely to fluctuate significantly. What is changing, is human society. 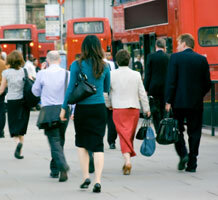 Population is increasing worldwide, and becoming more and more urbanised. But an urban population is a more vulnerable population. Traditional pastoralists are not much at risk from earthquakes, but economic migrants living in poorly-constructed shanty towns are highly vulnerable. Thus, even if the rate of earthquakes stays the same, the rate of earthquake disasters is likely to increase. See also Is earthquake activity increasing? 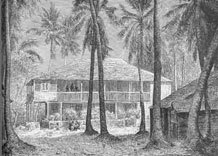 Timber-framed colonial mansion, Port-au-Prince, in the 18th century. The 2010 earthquake in Haiti killed nearly a quarter of a million people. Contrast that with the previous similar earthquake in 1770, when Port-au-Prince was a small town; total deaths were perhaps around 300, a thousand times less. And prior to 1770, some time before European colonisation, the native population, living in lightly-constructed huts rather than stone buildings would have been immune to earthquake damage. So what was just an earthquake in the historical period, can be a disaster when it repeats itself today. Map showing the approximate subduction zone of the Cascadia earthquake of 1700. Although from the configuration of the earth's tectonic plates one could infer earthquake hazard in this area, and generally non-damaging earthquakes are common, it was only relatively recently that the scale of the largest possible earthquake that could affect these cities was realised. The last major earthquake in the Pacific Northwest actually occurred in January 1700, well before European settlers arrived. Japanese historians discovered records of a tsunami that didn't seem to be associated with any local earthquake; calculations based on the descriptions of the wave arrivals showed that it must have travelled across the ocean following a massive magnitude 9 earthquake on the North American coast. The native inhabitants of the region had no written history, but it was found from folklore research that an oral tradition of a great disruptive event could be traced back to about this period. Furthermore, geomorphologists working in Washington state were able to find indications of recent changes in land level, including drowned vegetation, that could be dated back to around 1700. The final link in the chain was provided by studies of the sea floor off the coast, which discovered submarine landslides that indicated not just a magnitude 9 earthquake in 1700, but a chain of previous similar events stretching back over thousands of years. So thanks to these multidisciplinary studies, planners in Washington and British Columbia know what the hazards are. It is quite likely that the next magnitude 9 earthquake in the region is still several hundred years away, but there is no guarantee of this, and it's better to be prepared. The estimated epicentre of the 1580 Dover Straits earthquake was approximately 120 km from central London. 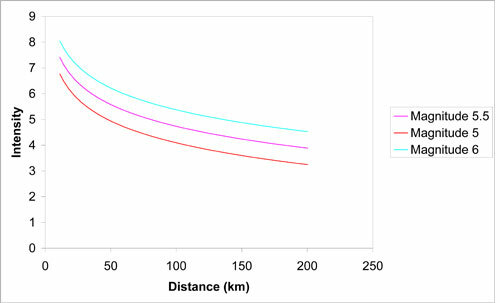 This graph shows how earthquake intensity reduces over the distance it travels. A 5.5 magnitude earthquake travelling 100 km would be intensity 5. One might think that this is not an issue in countries like the UK, but although the scale of the problem is far smaller, similar issues arise. Most people have no idea of the earthquake history of their country, and have no knowledge of past earthquakes beyond the scope of living memory. And the same issue of increased exposure to earthquakes applies just as much to Britain as to the rest of the world. 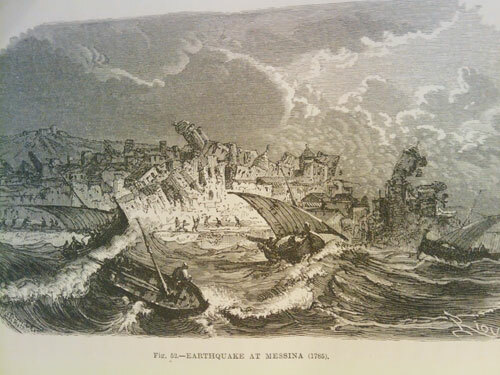 One of the strongest earthquakes to have affected Britain occurred on 6 April 1580; the magnitude, estimated from the size of the area shaken, was about 5.5, and the epicentre was in the Dover Straits. Although it was some distance away, London was quite strongly affected, probably because the soft Thames clays are more susceptible to being shaken. Nor was this an isolated event; a very similar earthquake occurred in 1382, which also caused damage in London. Contact Dr Brian Baptie for further information.